With its digital core, the Neumann KH 80 DSP enables filtering functions and room adjustment options, which brings reference level reproduction to any environment. Even with its compact design, it has extraordinary reserve capacity - as well as the classic strengths of the Neumann monitor philosophy: clearly defined dispersion angle, distortion-free design and sophisticated material selection. The Neumann developers know every nuance, every angle and every wave reflection of the KH 80 DSP. It sounds so pure because they are directing every sound wave so precisely. The KH 80 DSP’s design is based on computer simulations that calculate with a level of accuracy that no one other than Neumann does. The Mathematical Modeled Dispersion Waveguide (MMD™) provides the studio series with a solid base for precise sound direction that remains unique. Maths has never sounded so good. It might be a project studio, an outside broadcast van, a corner at work or just a brick building: The room defines the sound. Surfaces and corners in the room cause interference, diffraction, reflection, and refraction: all are forms of distortion. For a really true sound, without acoustic-physical “accidents”, you normally need expensive equipment plus plenty of time and expertise to align it correctly – or smart algorithms. Neumann’s DSP engine optimizes the sound output of the KH 80 DSP, delivering quality way above the price-tag. And the best part: You don’t need to be an expert to perfectly adjust the system to your environment. 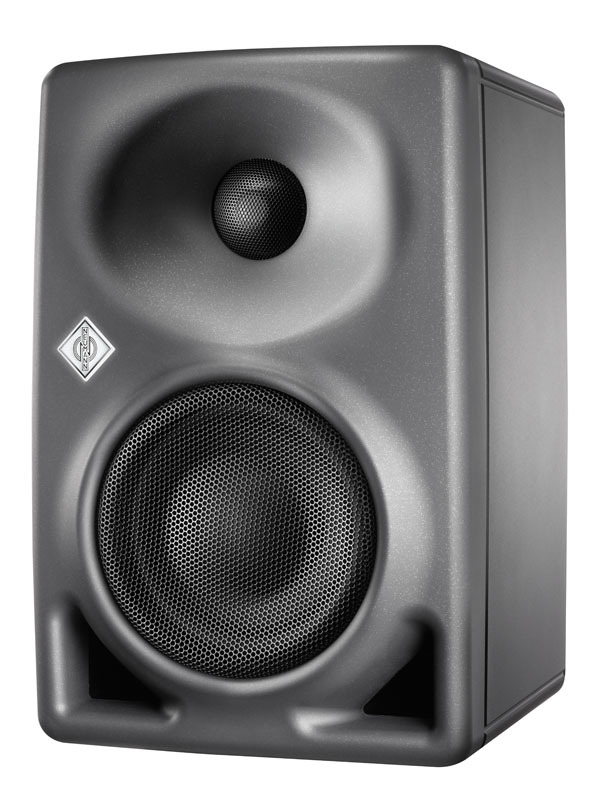 Highest quality components, high-end protection systems and power reserves are what you would expect from this studio class product even under the most demanding circumstances. 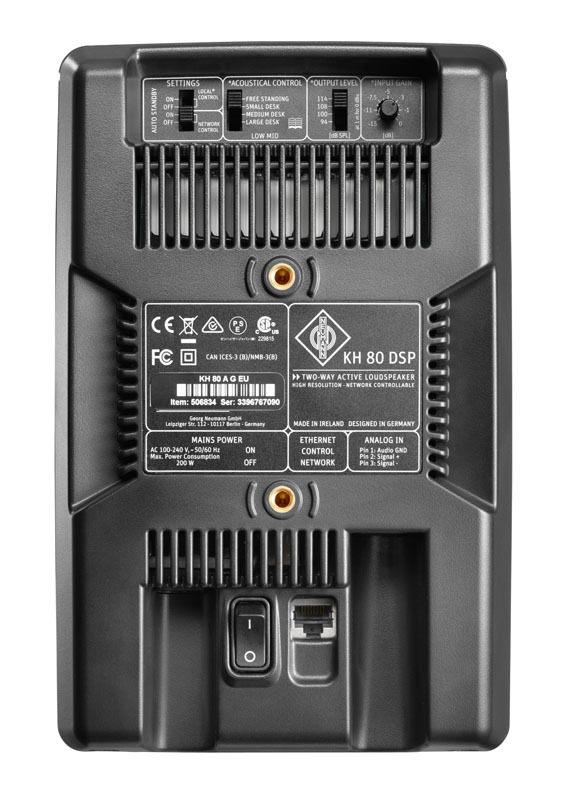 Its design makes the KH 80 DSP a versatile near-field monitor, which delivers professional-quality sound wherever you need it – in project and music studios, editing and broadcasting rooms or in outside broadcast vans. Some of our customers like it so much, they use the KH 80 DSP in their living rooms. Why not? After all, the KH 80 DSP delivers digital precision for a masterpiece of analog technology: your ears. 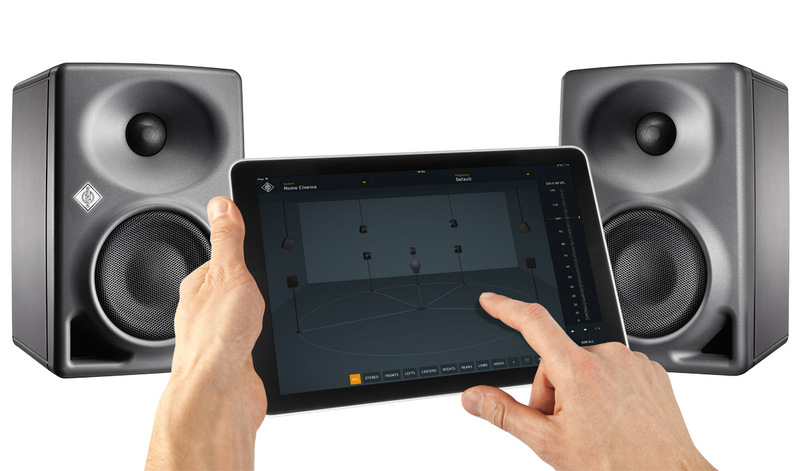 The Neumann.Control app for iPads® offers several features allowing you to setup, align and operate the KH 80 DSP even in large setups up to 9 loudspeakers.